'Cause my mother thought it. Though possibly you feel it looks dirty, it's sooooo nice!!! 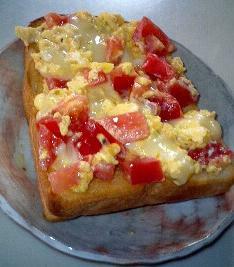 Scrambled eggs, tomatos, and cheese are on the toast. And it's just good for lunch. Having time, I'll write how to make!! I decided to write with Japanese translation in this blog from now on. I think it becomes more study in English. And if being a Japanese, you'll understand the content more. I added Japanese in previous blog. I feel this Japanese tone is interesting. 'Cause it's Japanese translation of interview of foreigner in magazines!! Possibly, 'cause I'm Kansai people, do I feel so...?? Yesterday, I forgot to watch TV!! Its program name is "Travel of Finland -country of design and aurora-" . It was broadcast by BS JAPAN. Today, I got soooo bad marks(3/10!!) in the test of math at the crammer. So I was scolded very much by the teacher. And my head was attacked with a file folder! I'll certainly get good marks in the next tests!! Oh, it's time that I should sleep. I coming home from school, the poster with autograph of The Rasmus have reached my home!!! This is elected only to three people. Great thanks, The Rasmus and people who had me win!!!!! Lauri is a singer with my most favorite band The Rasmus though it was delayed to say. 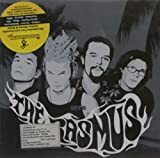 The band Rasmus formed as a school band at the age of 15 in 1994 in Finland. The members at that time were Lauri(vo), Eero(b), Pauli(g) & Janne(ds). In 1996, they released their debut album Peep which sold Gold. In 1997, they released second album Playboys which also sold Gold soon. Soon after, they received their first Finnish Grammy in the category of Best New Act. In 1999, they released their third album Hell of a Tester. Drummer Janne left from the band in the same year. And drummer Aki newly joined the band. 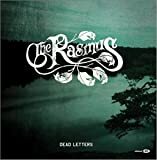 In 2000, the band was renamed from Rasmus to The Rasmus. 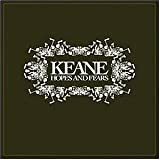 In 2001, sales of forth album Into which released in the same year is well over Double Platinum. 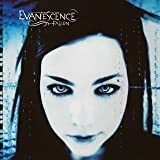 In 2003, they released the single In The Shadows which sold Platinum. Afterwards, their fifth album Dead Leters was released. It ranked high with the chart most Europe. They recieved their Swedish Music Award in the category of Best forign song, MTV Europe Award in the category of Best nordic actand so on. Today, the gathering for academic and career counseling was held at school. I think I'll try for the college of pharmacy 'cause the pharmacist's license is useful in the future and my father's job that relates to the medical treatment . However to tell the truth, the subject that I wanna study most now is foreign language. I came back from the school just now. I've to go to a crammer of biology at 8:00 p.m. Biology is difficult though interesting but, I don't think so. They often said that biology is a subject only of the memory. "Iltaa" means "good evening" in Finnish. I'd been interested in English since I began to listen to music(in English) three years ago. Then I felt to want to know about the meaning of lyrics. And I feel to become speak English well. So I decided to keep this blog. If there is class of Finnish at school, I could study in Finnish!! I'll keep this blog in English from today. First, I introduce myself a little. I'm a Japanese high-school student living in Japan. My hobby is listening to rock music. 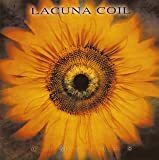 My faborite bands are The Rasmus, Keane, Negative, Evanescence ,and Lacuna Coil. 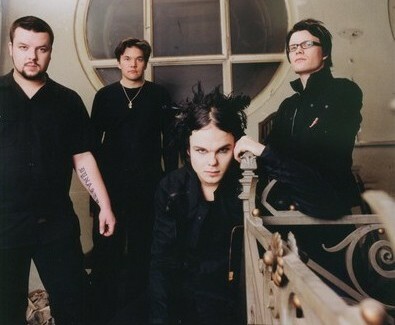 I'm a biggest fan of The Rasmus! And tell the truth, I have another blog. The name of this blog is "tasapaino elämä" that (seems to) mean "ordinary life" in Finnish. Please tell me when you find mistake in my English! !